If you’ve been contracted as a stair builder, you will need the highest quality kits in order to impress your customers in Melbourne. At Eric Jones, we can help you choose the right kit for any project. Our kits can be customised to meet your project’s requirements. Every builder or contractor needs to work with an experienced staircase manufacturer in Melbourne, and Eric Jones has been building quality stairs since 1947. Our products are designed to suit any interior or exterior setting. They range from simple straight flights which run between walls to self supporting cantilevered geometric stairs. Whether it’s your goal to create a dramatic entryway, or fit a flared stairway in a small home, you will find our products to be of the highest quality. 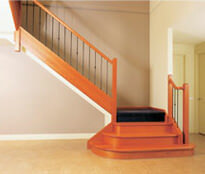 They can be designed to fit any contemporary staircases or traditional setting. When working as a stair builder, you need to be able to match the materials with the setting. 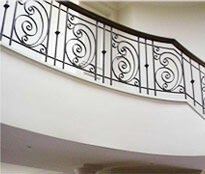 At Eric Jones Melbourne, all of our products can be made out of glass, wrought iron, steel, and your choice of timber. If you are unsure of what materials your project will require, allow Eric Jones to assist you with the planning process. Don’t hesitate to contact us if you have any questions. In addition to being Registered Building Practitioners, Eric Jones is also a member of the Master Builders. 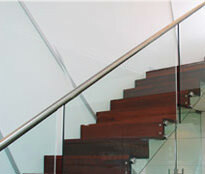 By choosing us as your staircase manufacturer in Melbourne, you will be giving your clients the highest quality products. 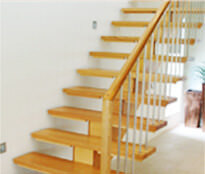 As a stair builder, it’s your job to provide clients with the highest quality stairs Melbourne has to offer. Take a look at our gallery to see the profiles we can help you build. Call us at 0(3) 9874 0411, or contact us online for more information.